Many apps offer in-game purchases, but there are a few android apps on the Play Store that can earn rewards. Lucktastic is the app I’ve used with the most rewards. 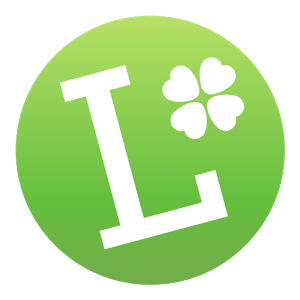 Lucktastic does not cost the user any money, but can be used to earn money, or points for cash sweepstakes or even Amazon gift cards. And don’t get me wrong, Lucktastic won’t make you enough to retire, but it can cover some minor purchases. I have been paid once by check for $5 (no fee for check) and I am now saving up for the $50 Amazon gift card (75000 points). Lucktastic does pay out its rewards and I continue to use their service. There are four main ways to earn points or cash. There are other ways that can be used, but are less effective. The primary way to earn points or cash is to watch videos. At the conclusion of each video, you have a themed scratcher card with a chance to earn cash or points. Most of the time, you don’t win, but you always get some bonus points. By opening the app each day, you get points for each consecutive day you log in. Day 1, you get 0 points. Day 2, you get 250 points. Day 3, you get 500 points, Day 4 you get 750 points, Day 5, you get 1000 points, Day 6+, you get a mystery gift (often time sweepstake entries). Opening the app is enough to get the bonus, you don’t need to do any action. You can use points to enter sweepstakes to earn more points or cash, but this is complete luck. The upside is you can risk some points to earn cash. There are no published statistics for odds of winning because it varys depending on the number of entries. Finally, you can complete tasks, such as taking surveys or installing apps, for points. The points awarded for installation vary, but can be an effective way at earning quick points. So what are the tips of points and cash? By far the most effective way at earning points for Amazon gift cards is to amass points, and the easiest way to remember opening the Lucktastic app every day, but to skip a day after Day 5 when you earn 1000 points. That way, you can earn 2500 points every 6 days, far faster than earning points by watching videos and scratching cards, which can be very time consuming. Earning cash is difficult! The only odds of obtaining more cash is to watch more videos. Your odds of winning a scratcher is to play smaller scratcher cards, like $5 or $1 card, with higher odds of winning when compared to the $500 card. The same theory goes for point reward scratcher cards. I consistently opened Lucktastic every morning for a few months and watched and scratched for about 20 minutes while watching TV. Eventually, I got enough for a $5 check which I received by mail quickly. Again, it’s not much, but it is better than nothing! Lucktastic does not have a referral program, but I still recommend them as the best rewarding app on Android. I based this on the amount of effort it took to earn the minimum payout paired with type of reward. If you haven’t, give Lucktastic a spin on Android or iPhone.